Usually, when I review a cookbook, I try out one or two of the recipes first to see how they work. I do this because it’s the best way to see if the recipes are well ordered, properly sequential, and do-able by a home cook. As you know if you read the somewhat chastened update to my review of Historic Heston, the proof is in the pudding. (Sorry about the pun, couldn’t resist it). 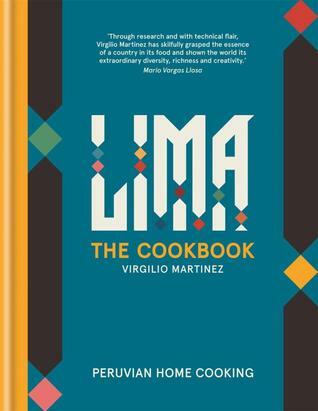 Peru is on my bucket list: I’d love to do one of those cruises that goes up and around the South American coast… and if the cuisine is anything like the dishes represented in this book, it would be a foodie’s paradise. (If there are any cruise operators out there who’d like to swap a free berth for an exclusive series of feature articles on my Travels with Tim and Lisa blog, #ShamelessPitch well, don’t be bashful about getting in touch). But, yes, back to the book… hmm … you need to like quinoa. Like it a lot, I think. There is even a recipe for a (non-alcoholic) cocktail using quinoa, no, there’s three: Ponche de Quinoa de Dona Blanca (Quinoa Punch, made with Andean sweetcorn which is apparently paler and less sweet than regular sweetcorn) and Leche de Quinoa (Quinoa milk, which is basically just quinoa and water which is cooked and sieved). Batido de Leche de Quinoa y Frutos Rojos sounds a bit more interesting – it’s a smoothie made with berries and honey. It looks quite nice. I also quite like the look of the Passion Fruit and Lemon Grass cocktail too, though you have to mess about making a ‘simple syrup’ first, which means you have to wait until it cools down first. (And grow some lemon grass in the garden so you can have a stalk handy for when the mood takes you). Quite a few of the recipes use ‘blue potatoes’. According to their website, Woolies have Royal Blue Potatoes, but they’re not it. Royal Blues have a purplish skin, but they’re yellow inside. We grew some purple potatoes in Vegie Patch No #2 last year, and they were purple inside but when we cooked them they were a not-very-appetising shade of grey, and they didn’t taste sufficiently special to overcome the dubious impression. But from the pictures in the book, these Peruvian spuds look maroon when they’re cooked, almost beetroot coloured. The recipe for Sautéed Roots and Corn looks very pretty in an autumn-harvest kind of way, though perhaps a bit dry. I think I’d want some sort of dip or sauce with it. (But which one? See below). Another discovery was how to use Tiger’s Milk. (Why would Peruvians call it tiger’s milk? There aren’t any tigers in Peru, are there?) Anyway, it is the basis of lots of things, a bit like the fish sauce that is essential to Vietnamese cuisine. There are two elements, the base (made with aromatics which are reminiscent of French mirepoix but with the addition of garlic, ginger, sugar and coriander) which you then add to make the leche de tiger – receta entera which uses lime juice, fresh white fish fillet, Aji Limo chilli and jalapeño pepper. You zap it all together in the blender. When you’ve got your tiger’s milk sorted, you can then make all kinds of very colourful seafood recipes – some of which are served in a glass because they’re like cold soups. There’s a whole chapter devoted to chilli pastes, herb creams and salsas, but it doesn’t really show you how to serve them apart from when they turn up as elements in the subsequent chapters using fish, meat and poultry. I think that a book like this, introducing Peruvian cuisine to people who presumably don’t know about much about it, could have had an introductory chapter explaining how meals at home are served. On individual plates with sauces at the side? All together in the middle and everyone dives in to (politely) take their share, like the Chinese do? Do these pastes, creams and salsas get served with the delicious bread recipes at the back of the book, like Turkish mezze? But the introduction doesn’t include this IMO important information. There’s a bit about the ethnic origins of Peruvian cuisine, and then it’s the usual sentimental stuff about what food means to the heart, which is ok but we’ve seen all that before. Maybe I’m getting a little cynical because I’ve watched too many series of Masterchef, but I am getting a bit tired of grandmothers and their influence on dynamic young chefs in the world of gastronomy. (Maybe I am just jealous because I had the wrong sort of grandmother. My memories of her use of vegetables put me off eating many of them for years, and I still can’t abide cabbage, Brussels sprouts and swedes. No one would eat anything I cooked that derived from memories of meals with my grandmother. Well, ok, #Let’sNotBeMean, maybe her pastry.) Anyway, I’d have liked an introductory section on the less common ingredients with photos of what they look like and how to prepare them, as well as how to do a menu for a dinner party, and how to dish it up for the family. But the book does have a glossary of ingredients and dishes at the back. It explains, for example, what Ceviches, Tiraditos and Causas are, just in case you missed (like I did the first time) the short introduction at the top of the first recipe for this set of dishes. Ceviche – which is basically raw fish marinated in this or that to ‘cook’ it – is emblematic of Peruvian cuisine, so it gets a whole page introduction but the others are easy to miss if you’re just browsing through. (Click the links to see pictures, which I can’t show you for copyright reasons). There’s also a list of stockists, but they’re all in the UK. The best bet for Aussies is probably The Essential Ingredient in Melbourne. But the recipes do look very appetising. Apparently there are LIMA restaurants in London, and the picture gallery on their website shows you how sumptuous Peruvian cuisine can be. The simpler dishes in this book look fresh and colourful and reasonably easy to do. Once you’ve got your tiger’s milk, that is. The tricky bit is that it has to be done at the last minute. No do-ahead dinner party recipes, I’m afraid. PS Virgilio Martinez is the Curtis Stone of Peru. Need I say more? As luck would have it, after I had written this review, a blog I subscribe to featured Peru. I learned more important things about Peru than its cuisine from this issue of Words without Borders, starting with this piece by Sergio Vilela, translated by David Kurnick. « Do We Still Want To Stretch Our Imagination?